It’s easy to claim that you’re the best in the industry. There is rarely anyone willing to try and challenge you, especially in an industry as understated and locksmiths. So how exactly do you know who’s really the best and who’s just saying they are the best? A great way to figure it out is to look at the company’s past client. Who decides to trust them can say a lot about the validity of their company. Have they only services private citizens and small local business? Or have they helped some bigger name companies and institutions? At SOS Locksmith, we proudly claim to be the go to choice for your security needs. Our inventory is expansive, providing much more than your average locksmith. From the usual keys and locks to the latest CCTVs and intercoms systems, we provide all forms of security technology. We even have a section dedicated to ironwork (gates, railings, etc.) which most other locksmith places do not provide. 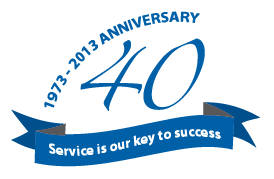 Having existed for over 40 years, SOS Locksmith Corp. has had an impressive list of clients. One of better known ones includes the NYC Department of Transportation. We installed their CCTV systems for them, all which record digitally. We have also installed security for the Hudson River Park Trust. The access control systems at their main facilities were personally done by SOS Locksmiths. Our clientele list also includes the Greek and French consulate. For them, we installed Audio/Video SIEDLE communication systems. And for the true New Yorker, they would be interested to know that we installed the electronic locks present at Gotham Bar and Grill. But that’s not all. Our impressive lists also includes the Ferarri showroom in NYC, British Airways, Whole Foods, Hugo Boos and more! Considering these important names that have been our clients, it isn’t hard to come to the conclusion that we are among the top of our industry. If you want the best for your security, give us a call or get a quote today! We have been servicing New York City for four decades already. Come to our store in Chelsea to check out our selection of safes and locks or browse online. SOS is here to attend to your needs. If we can satisfy the best, we will definitely be able to satisfy you.